Foreign Direct Investment continues to flow into Vietnam at a buoyant pace, underscoring the country’s investment attractiveness spurred by a booming domestic economy, political stability, credit growth, and progress in state-sector reforms. One of the key investment highlights of October that Access Asia has been closely following was the listing of Vietnam’s second-largest state brewer, Hanoi Beer Alcohol and Beverage Joint Stock Corporation (Habeco,) on Vietnam’s Unlisted Public Company Market (UPCoM) – a listing that faced years of delay from when the state-owned company was first equitized in 2008. As of 4 November, the stock has reached its ceiling price every day since its debut on 28 October. The company’s listing is essentially the latest step in the government’s divestment plan, which is still likely a year away, and was primarily done to ascertain the market value of the company, albeit from the country’s stock market – which has been one of Asia’s best performers in 2016. Aside from Vietnam’s lucrative brewery sector, other sectors in which Access Asia has seen significant foreign investment interest lately have been Health, Real Estate, Banking, and Logistics. According to the latest data by the Government’s General Statistics Office, the manufacturing sector has remained the most attractive sector to Foreign Direct Investment in 2016, followed by the real estate sector. From January through October, total FDI disbursements rose 7.6 percent to US$12.7 billion. GDP growth for the year, targeted at 6.7 percent by the government, will likely be slightly missed due primarily to a range of environmental factors that have dragged growth this year. These have included both drought and floods that have affected the country’s agriculture’s sector and massive water pollution by Taiwan’s Formosa Ha Tinh Steel Factory that has hampered the country’s seafood industry – as well as local economies affected by the disaster that caused mass fish deaths in four coastal provinces of central Vietnam. Yet, Access Asia views the Formosa disaster as having greater political and security ramifications than economic ones, as the incident – and the perceived lack of appropriate government action in dealing with the crisis – resulted in anti-government protests and has awoken a nascent environmental movement that could prove to be one of the biggest forces of government opposition in the coming years. On the banking front, robust credit growth is now occurring in pace with banking sector reforms, which will positively weigh in on economic performance and growth into 2017 and beyond. As Vietnam has an underdeveloped capital market, the country’s banks play a key role in the financial intermediaries system and thus have a major impact on economic growth. For 2016, credit growth should reach – if not surpass – the State Bank of Vietnam’s projection of 18-20 percent. Yet, the banking sector remains problematic for foreign investors due to offshore ownership caps at 30 percent (although several banks are seeking permission to raise such caps.) Many foreign lenders see little incentive in attaining a minority share with limited control of Vietnamese banks that are going through a period of restructuring and recapitalisation. Moreover, transparency issues, cross-ownership, political links, and corruption remain key concerns among foreign investors in Vietnam’s banking sector. Nevertheless, Access Asia has seen renewed foreign investment interest in a number of local banks this year, while the sector’s positive long-term outlook combined with committed reforms is certainly improving the sector’s attractiveness to foreign investors. One particular bank that has caught the attention of Access Asia this year is TIMO Bank. Established in January, it is a tech-savvy, paperless, all digital bank with its only physical presence being two modern cafes in Ho Chi Minh City and Hanoi. At these ‘TIMO Hang-outs,’ customers can open a bank account, deposit or withdraw money at the cafe’s ATMs, and hang out drinking coffee. With the TIMO App, customers can easily transfer funds and even transfer deposits into high-interest, fixed-term accounts. 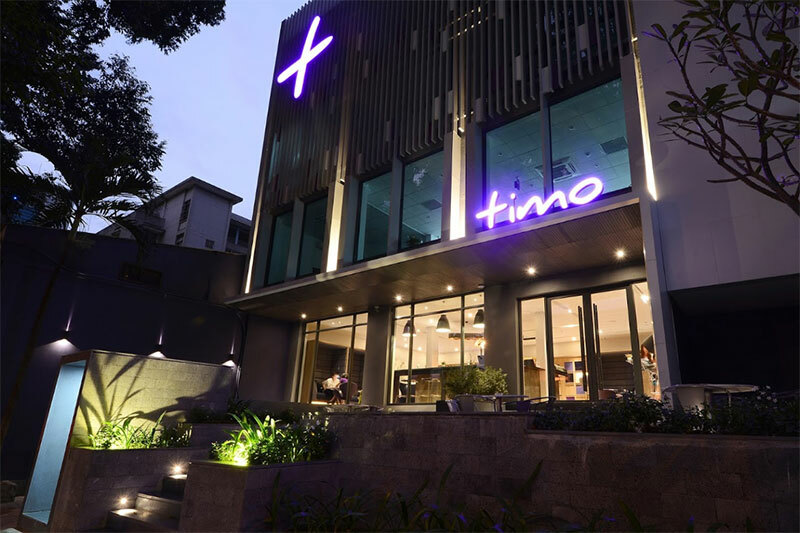 Access Asia sees TIMO as a possible revolutionary of Vietnam’s banking sector and expects the start-up will attract a range of foreign investment interest in the foreseeable future.